| My Sit-Down Interview with the Backstreet Boys!!! My Sit-Down Interview with the Backstreet Boys!!! 23 Nov My Sit-Down Interview with the Backstreet Boys!!! I’m really proud of myself for stumbling as little as I did during this Live Nation interview with the Backstreet Boys. I sat down with Nick, Brian, Kevin, Howie, and AJ on their Vegas residency stage to talk about their next endeavor, their biggest tour since 2001’s Black & Blue Tour. The new DNA Tour will be in arenas around the world. In this chat, you’ll learn which past BSB album the DNA album will sound most like, whether or not they’re annoyed by the expression “Backstreet’s Back!”, who clogs the toilet most on the tourbus, and what they’re favorite fast food rest stop is on tour. It was truly an honor to host this Q&A for Live Nation. You can buy tickets HERE! I’ll be at the LA date at the least! 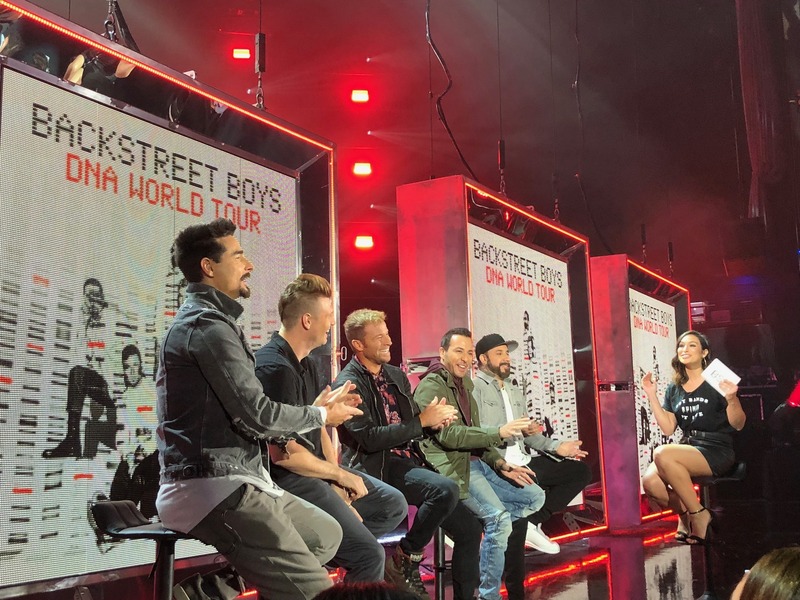 First you got your tickets, now you grab your popcorn because we’re talking all things #DNAWorldTour, #BSBDNA Album, and our new single “Chances”! Let’s go!